Deanna and Steve met at the Tahoe Rim Trail Endurance Run. He was running fifty miles and she was doing the 10K, a 6.2 mile run. Deanna finished with her run first and left a note on the windshield of his car asking him to call her and let her know how the run went for him. He still has that note. They ended up with each other and it is an enviable match. You can hear it in their voices that they know how lucky they are to have found one another. He’s an emphatic military guy who once spent seven months in a submarine and when he mentions his wife there is a lightness and humor. She doesn’t last very long in a conversation without finding a reason to laugh. She is serious when she says the best part of being in the wilderness is Steve’s company. They did their first 100 mile run together in Arizona. It took 27 hours. There was no sleep and 96 miles into that Arizona run Deanna said she almost quit. Deanna has a laugh that is close to crystal in its clarity. It is completely natural, and when she tells a story it punctuates the image with a sense that she is taking you to that moment. Deanna and Steve made a habit of endurance runs. Deanna who started running for fun when she was twenty-seven, doesn’t flinch when she talks about events such as the Western States 100 mile event. They have run countless marathons. For added fun, they hiked Point Reyes at 13-15 miles a day, and the Pacific Crest Trail near Donner for a quick 27 mile overnight hike. 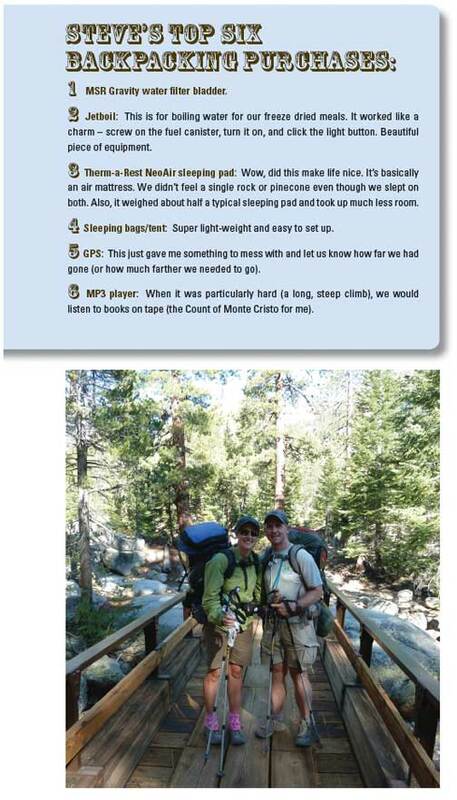 Friends told them of the John Muir Trail and the unbelievable beauty. They were shown pictures. It became something they wanted to do, not sure really what to expect because they had never gone backpacking for more than five days at a time. 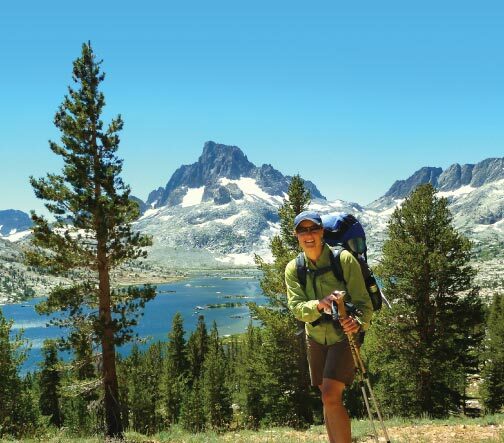 They’d never done the kind of backpacking where you spend eleven days in the back country. John Muir died on Christmas Eve, 1914. It was a monumental life, one of remarkable achievement, including the protection of some of California’s most precious natural resources, the founding of the Sierra Club, numerous books and essays that inspired following generations of environmentalists, and even the despairing loss of Hetch Hetchy to a dam. 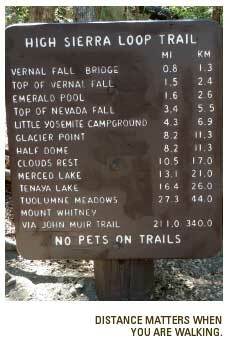 The John Muir Trail is in the Sierra Nevadas. It runs through three national parks and takes hikers who can withstand the elements through the Yosemite Valley to the summit of Mount Whitney. Steve charted their food on an Excel spreadsheet; calories per pound, per day, per person. Ultimately, Deanna’s backpack was 35 pounds starting and Steve’s was 45 pounds. Steve carried the extra gear like the tent and the gravity inline water filter system. They packed for the first six days and shipped the rest of the food to Trail Ranch, which is the halfway point. We asked Deanna if there were ever days after lunch that she just didn’t want to get going again. Deanna and Steve met a few couples doing the same thing they were doing. They were on a different time schedule than the others so they eventually didn’t see them anymore. We asked about the amenities along the way. There is only one bathroom after that third day. Deanna said that the best part of the trip was the companionship. It wasn’t a valentine to her husband, but an immediate answer and an acknowledgement that she and Steve do well being in situations most us of would call extreme. The second best part, easily, according to both Deanna and Steve, was the scenery. They are going to do the Tahoe Rim Trail. It’s about 180 miles. They’ve agreed to put an 18 mile a day cap on the hiking. It will be a breeze for them.